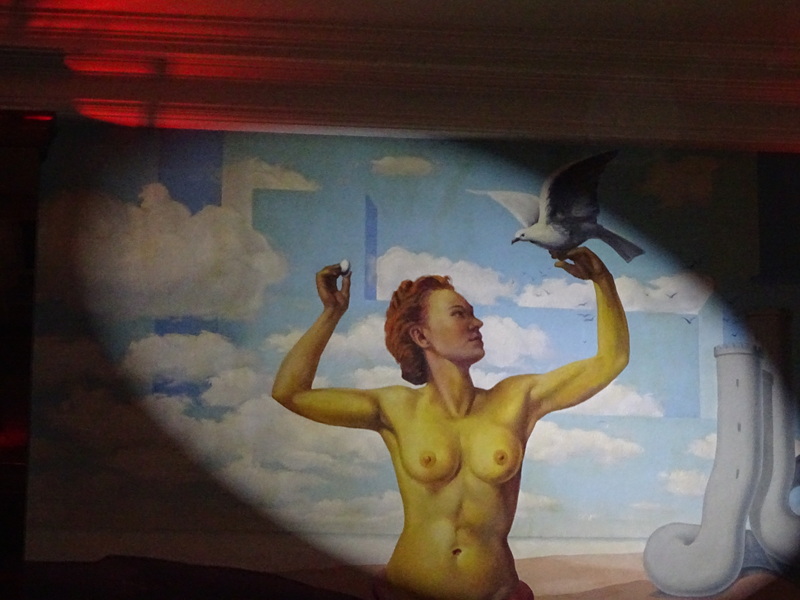 this fantastic venue is decorated with fresco's of the famous surrealist Magritte. The evening started with the winners of the Press Cartoon Belgium: ZAK, Fritz and Cost. And the Press cartoon Europe: where KAP (Spain) won the third and first prize and Tom Janssen (The Netherlands) won the secund prize. Then it was time for the winners of the international cartoon contest. There it was Dalcio Machado (Brasil) who won the Gold Hat, Turkish Engin Selcuk got the Silver Hat who explained that cartoonists in Turkye don't have the freedom to draw very critica's cartoons an explication on why he draw a rather simple gag. The Polish Slawomir Makal got the third prize. The Davidsfonds prize goes every year to a Belgian cartoonist, this year it was given to Dieter Bevers. Davidsfonds edited the 55th catalogue. Since a few years the cartoon festival is created as a family attraction during summer at the beach of Knokke. The theme of the exhibition this year is 'all creatures', with specific cartoons drawn by Belgian cartoonists, but most of all a real educational program about small and larger animals. A small selection of cartoons of PCB, PCE and the international contest is also shown. The exhibition can be visited for free every day till the 4th of September.